Rio Salado College | RioNews: Rio Waves Mascot Splash Makes Public Debut! Rio Waves Mascot Splash Makes Public Debut! 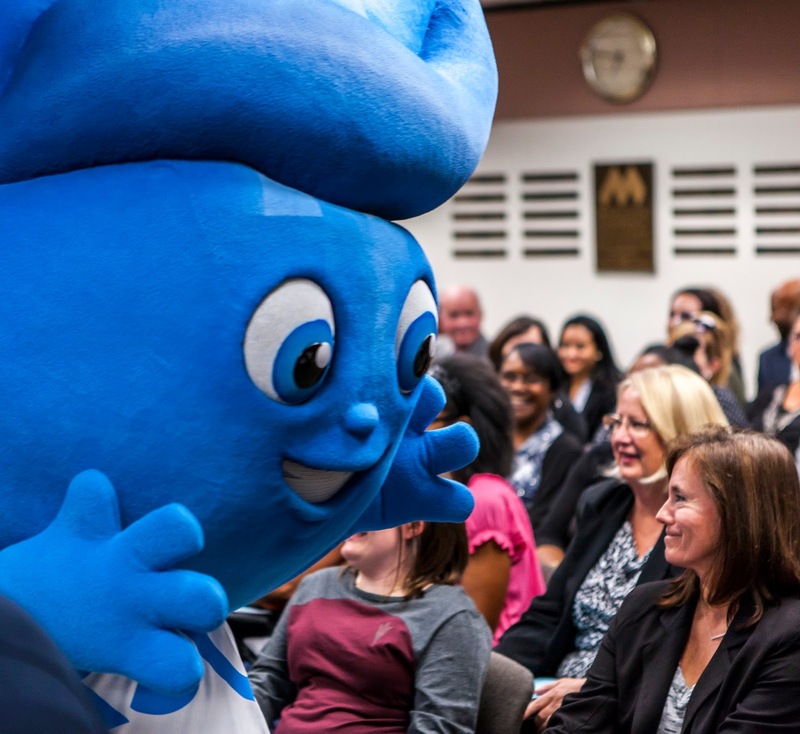 Rio Salado College President Chris Bustamante and a group of dedicated students introduced the new Rio Waves mascot Splash to the Maricopa Community Colleges Governing Board members during the Tue., Oct. 25 meet. Dr. Bustamante, the students and Splash gave a heart-warming presentation about the history of how Splash was chosen, the meaning behind the name and how Splash will serve as an ambassador for the college. A big thank you to Rio students Oliva Mendez, Daniel Mott, Emily Jaeger, Irma Villegas and Vanessa Williams for their supporting roles! Look for Splash at upcoming community events. Check out event photos on our Facebook account.